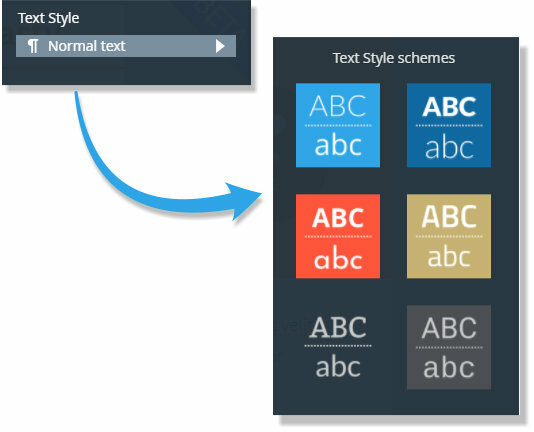 If you want to choose an alternative text style, then choose from one of the Text Style schemes. Tap on the Text Style field and then scroll down to see the available styles. Just place the text cursor anywhere in the text and select a Paragraph Style from the style menu, the whole paragraph will take on that style. Paragraph Styles apply to whole paragraphs, and are also typically used for headings. It's not possible to apply a Paragraph Style to a smaller section than a paragraph, so you cannot, for example, apply a Paragraph Style to a single word within a paragraph. If you try, then the whole surrounding paragraph will take on this style. Character Styles, on the other hand, can be applied to any selection of text, from a single character upwards. 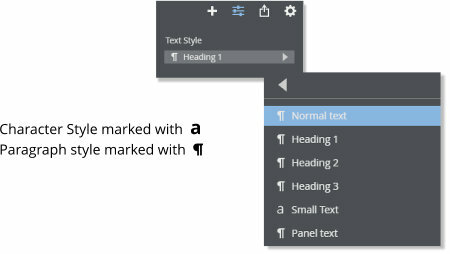 It is not yet possible to create your own text styles in Xara Cloud.